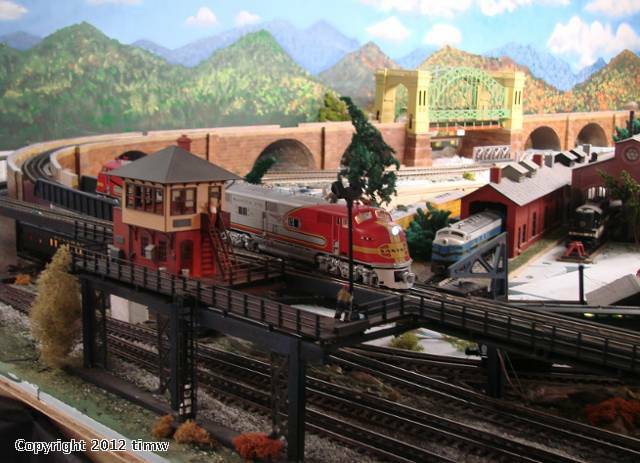 It is 8 arches long, (14 linear feet), three arches are skew, and two of the three that are skew, are curved, plus two Hellgate bridge foundations, and one smaller arch, all constructed of building foam, hand carved by myself, and painted by customer. 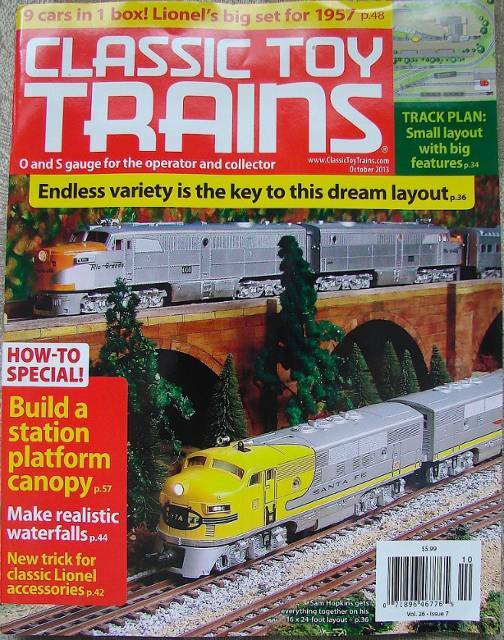 Sam's (csamh] on this forum) beautiful former layout made the cover of the Classic Toy Trains Magazine, October 2013 issue. 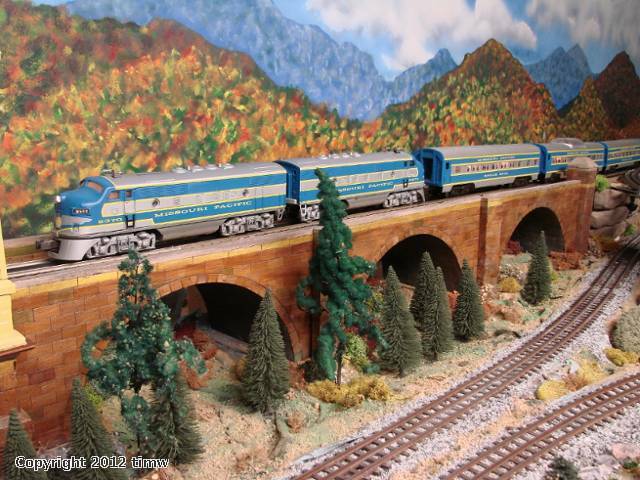 Your layout and vignettes are inspiring, and quite fantastic.